Twitter is shaping itself into a powerful customer service platform with the launch of chatbot-operated Direct Message features. Twitter has long been one of consumers’ favorite platforms for airing out brand-related concerns. It’s only to be expected, as social platforms dramatically altered the way businesses and people engage with one another. Here, customers demand speed and responsiveness from the brands they contact. Entrepreneurs therefore—especially marketers and customer support providers—must fully utilize the social tools available to them to raise customer satisfaction. Which social tools do customers prefer for inbound customer service? The great news is that Twitter is making this task easier for companies. To enhance brand—customer communication, the social media company has just ramped up its Direct Message tool with two new chatbot-like features: welcome message and quick replies. According to Ian Cairns, the social network’s Customer Service Product Manager, these updates aim to “help businesses create rich, responsive, full-service experiences that directly advance the work of customer service teams and open up new possibilities for how people engage with businesses” over Twitter. Naturally, the core idea behind these fresh rollouts is automation, which makes it possible for brands to cope with an ever-increasing number of queries or complaints. Let’s take a closer look at how these new features work. With welcome messages, brands can now start conversations without requiring customers to send the first message—something that wasn’t possible before. This way, businesses can greet people and set their expectations immediately, helping them display their commitment to proactive service. 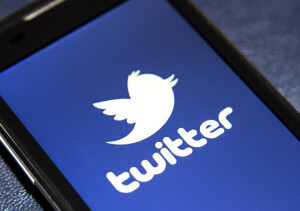 Brands can compose several welcome messages and then deep-link into an existing greeting from a tweet, website, or app. The automated message automatically shows up whenever a customer starts a chat with a brand’s account. On the other hand, quick replies ask customers for more information about their complaints or requests. For instance, customers can choose from a list of options to complete their queries (e.g., “What’s the status of my order?“, “Connect me to an agent“, “Follow-up on my previous transaction“, and others). When used together with welcome messages, this feature helps brands reduce waiting times and solve issues in a much more efficient way. Overall, this helps brands boost customer satisfaction. Chatbots are revolutionizing customer support, letting brands provide stellar social media services to their market. 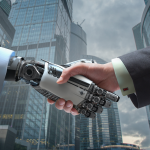 These automation solutions are taking a great amount of work off agents’ shoulders, and the results are more efficient processes and accurate information delivery. Twitter’s latest move to establish itself as a customer service platform will, without doubt, equip brands with the ability to handle simple transactions quickly. Just like any other strategy, however, entrepreneurs must carefully devise ways to fully maximize these advantages.